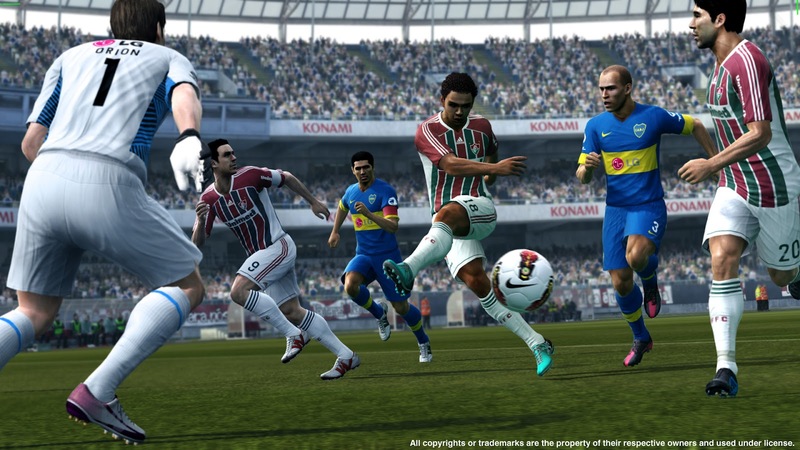 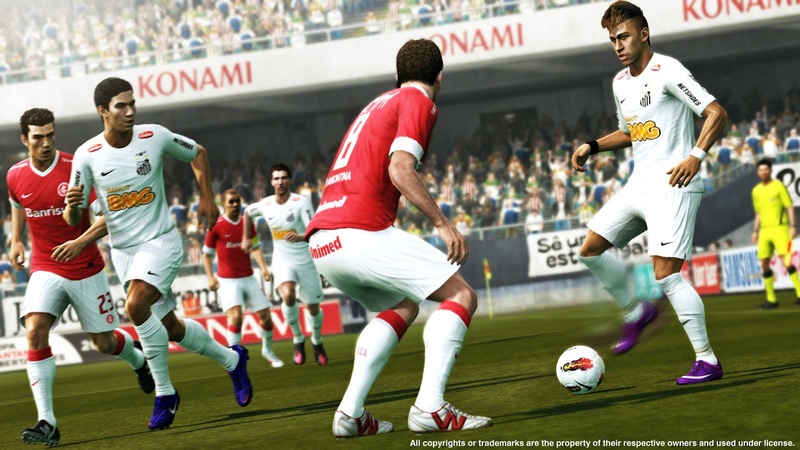 Konami have published five new screenshots of Pro Evolution Soccer 2013. 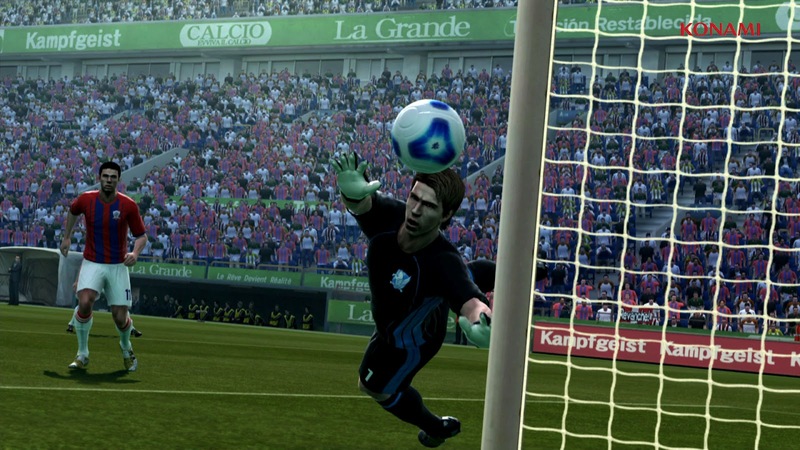 The screens mostly feature teams from the Copa Libertadores, showcasing South American greats such as Ronaldinho, Juan Román Riquelme, Neymar and Ganso. 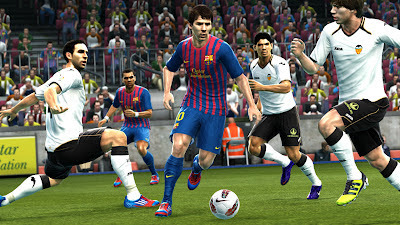 There's even a space for ex-PES cover star Lionel Messi in action for Barcelona. 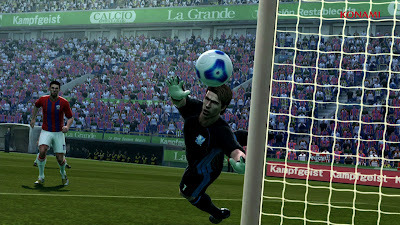 March 31 update: Two new screenshots added ahead of tomorrow morning's pre-E3 conference. 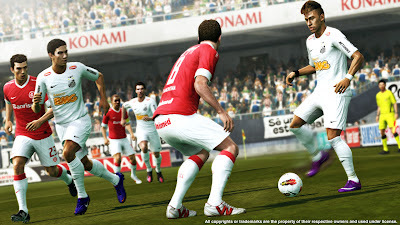 At the moment, in terms of presentation, PES 2013 is looking very similar to last year's title. However, no one can deny the graphics in PES have always been impressive, so no one should have been expecting any surprises. 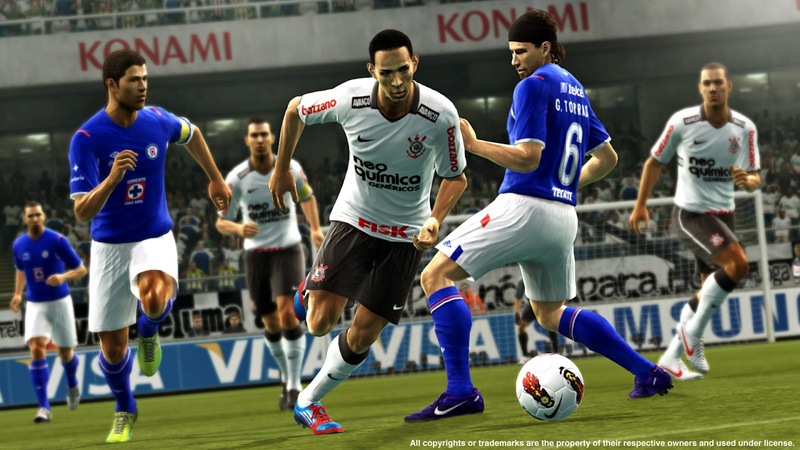 However, visual improvements appear to be minimal this year - not that any significant strides needed to be made. 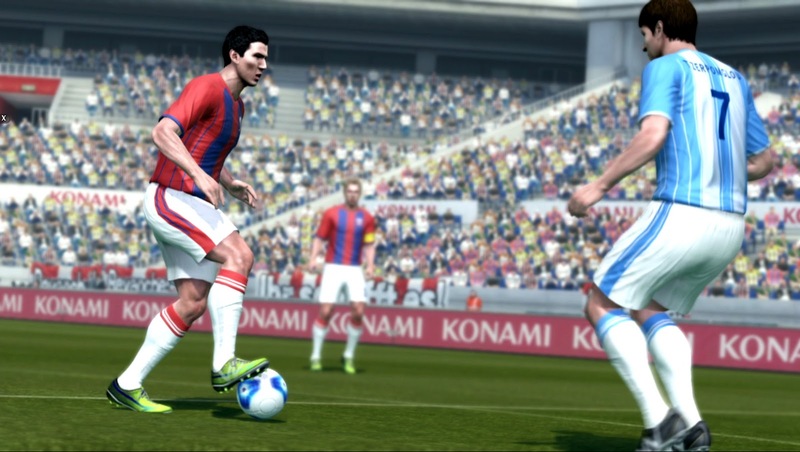 Alternatively - and as Jon Murphy expected - the first PES 2013 impressions have been generally positive. 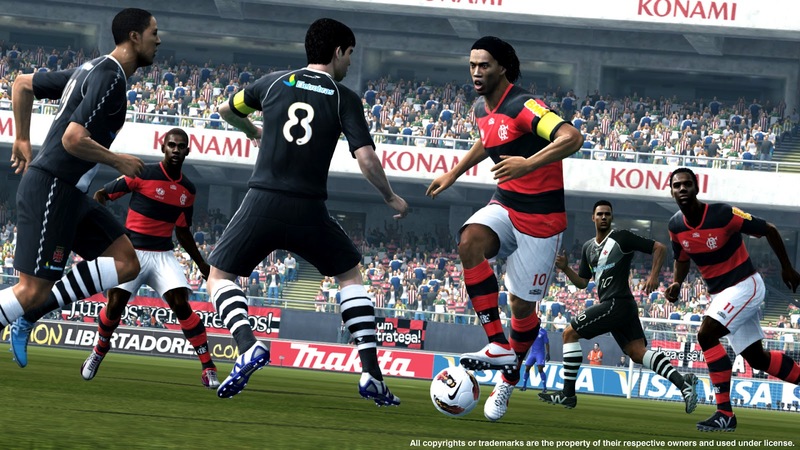 To see what the press are saying, make sure to check out this post where we've published a selection of reviews from last month's hands-on at Konami's press tour in Brazil.